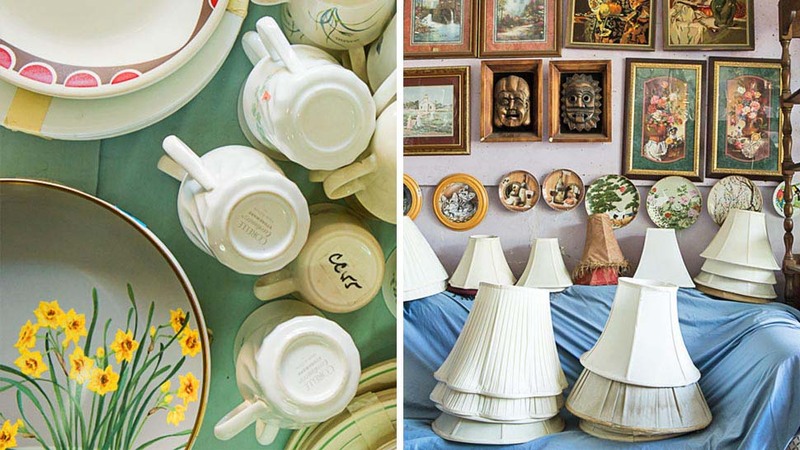 Check out our list of these popular, affordable, secondhand stores. There is probably one near you! There are three kinds of people you’ll find looking around in a Japan Surplus Shop. There is the homeowner who is on a hunt for a bargain. There is also the DIY diva looking for her next project. And then there’s the third one—the most common of all—who is just curious about what other secondhand pieces are out there. But first, a bit of history: to older generations of Filipinos, “surplus” was associated with American military surplus pieces from the last World War. In the 1990s, there was a wave of discarded tech products and secondhand furniture from Japan, thus, the birth of Japan Surplus shops. For this generation, Japan Surplus are stores that have nice preloved items from Japan—and other First World countries—that are reasonably priced and not as beat up as some of the pieces you’d find in other secondhand stores. These shops are popular for the hundreds of secondhand Japanese bicycles and cheap dinnerware, but there are other treasures to be found, like well-maintained furniture and rare musical instruments. So head out to one now, keep an open mind, and reduce, reuse, and recycle your way to a happy home. JMS sells big furniture pieces like cabinets, sofas, and dining sets together with other surplus shop staples like plates, home décor, and bikes in one huge warehouse-like building. You’ll encounter aisles and aisles of merchandise in good condition —except perhaps for some beat-up bikes that need a bit of elbow grease. It could get a bit warm inside the warehouse, so dress comfortably. The best part about visiting this surplus shop is that the moment you head out, you can buy Marikina’s best kutsinta from Aling Remy’s next door. Prepare yourself for a kawaii buy! This shop offers favorite surplus items like Japanese furniture, kitchenware, appliances, bicycles, and even musical instruments. But it seems that they have a particular fondness for small cute stuff like unusual Japanese wooden toys. If you can’t visit their store, do go to their Facebook page to look at their selection. Japanese wooden toys like these collectible Kokeshi dolls below usually range from P15 to 125 apiece. This shop specializes on the big items like cabinets, drawer chests, and dressers. It sells the usual surplus shop staples like chairs, dining sets, paintings, mirrors, and glassware, but they have an impressive selection of cabinets that range from antiques to flat-pack IKEA. The best part: they offer free delivery service for every P5,000 worth of purchase. This store is known for their merchandise, which are mostly in good condition—they’re even wrapped in plastic to keep them from being further nicked—while some are even in their original boxes. They also have friendly store personnel that are ready to help, and it opens early at 8am. Now, what’s not to love? But this particular surplus shop seems to be a bit more popular with starter families probably because they carry a lot of baby items, such as cribs, rockers, booster seats, and of course, toys. They even have those covetable co-sleeping cribs (see below). The pieces are pretty good that even people from Cavite shop here! So, if you’re one of those expecting parents, do visit this surplus shop for impressive bargains.